I wanted to make a smoothie the other day, but I didn’t want to go to the store, so I headed into the kitchen to see what I had on hand. I had a ripe banana in the freezer (for just such an occasion), some strawberries, and some yogurt. Perfect! I knew I’d need something to sweeten the smoothie, and usually for me, that would be orange juice. I didn’t happen to have any orange juice, but as luck would have it, I did have an actual orange. I also added a little honey for extra sweetness. The rest of it came together with just some skim milk and ice cubes. I’m a fan of smoothies because it’s kind of my compromise with myself for not having milkshakes. 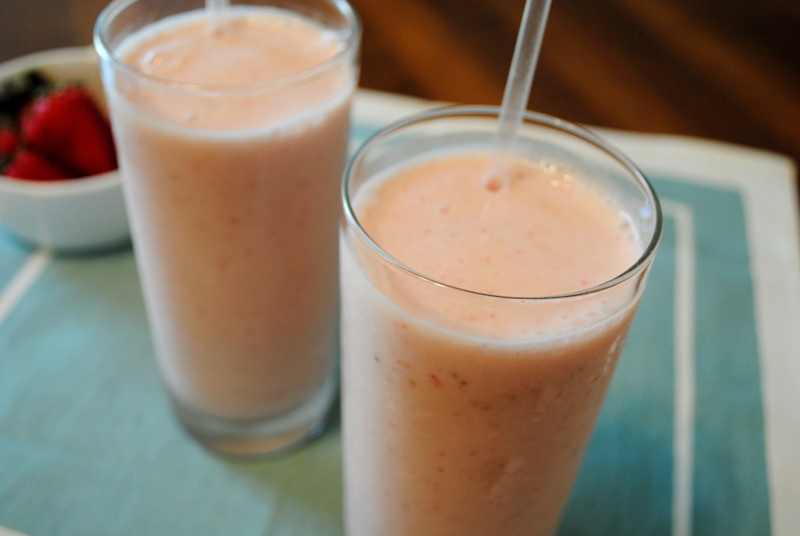 If you make smoothies yourself, they can be much lower in fat than milkshakes or smoothies you buy. I use skim milk and no ice cream at all. You can also get a lot of great nutrition with the fruit and the added benefits of the yogurt. Ok, I know yogurt is really good for you, what with the calcium, protein, probiotics and all, but I have to be honest, I barely tolerate the stuff. And if I’m going to just eat yogurt, there must be granola. So putting it in a smoothie is sort of like my way of tricking myself into eating it. You can use as many ice cubes as you like in your smoothies to get your desired consistency. The strawberries I had were huge, so I didn’t need very many. If yours are smaller, you can use more. You could also use regular low fat strawberry yogurt if you don’t have any Greek yogurt. 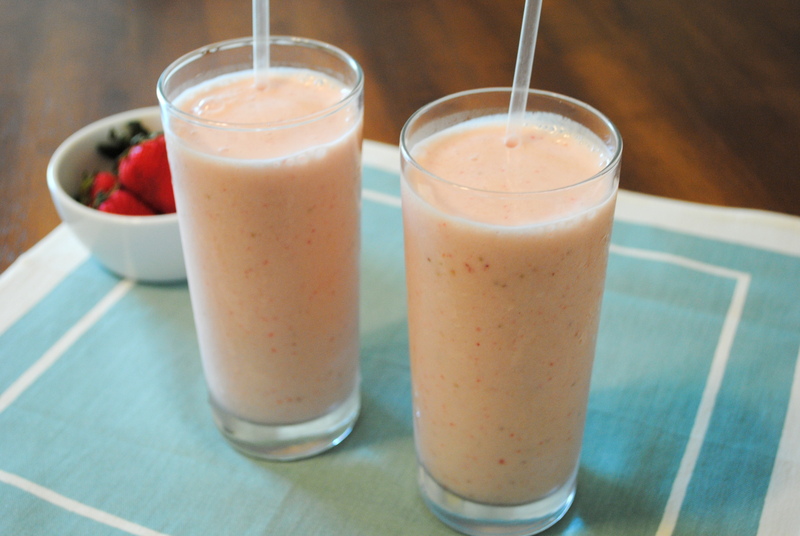 Put everything in blender and blend until ice is broken up and smoothie is smooth. ← Cedar Plank Grilled Salmon – 3 Ingredients!